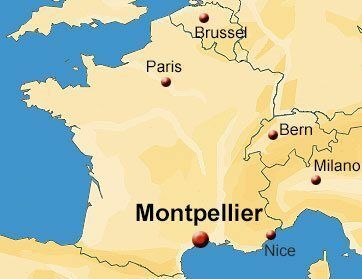 Our Easy French Immersion School has a wonderful location in the heart of the historic city of Montpellier. A great place to learn French in France! 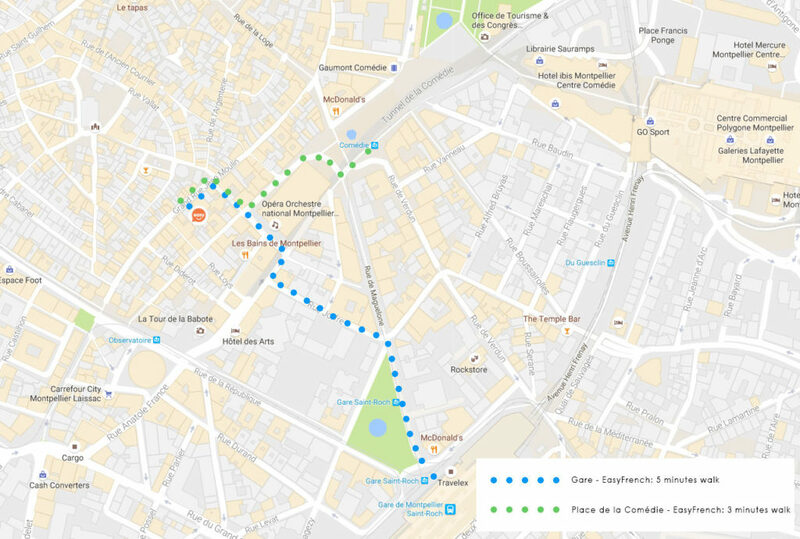 EasyFrench has a privileged location right next to its parent school ILA, in one of Montpellier’s most beautiful pedestrian streets, the Grand Rue Jean Moulin. You will learn French in the heart of Montpellier’s beautiful historic centre and feel the pulse of the vibrant city centre. You will find many sunny terraces, cafes, boutiques, snack bars and restaurants just steps away from our EasyFrench language School. The famous Place de la Comédie with its prestigious opera house is just a two-minute walk away and all the sights of the historic centre are within easy walking distance. Stroll through the narrow streets of the old town, and let yourself be mesmerized by the typical atmosphere of southern France, and enjoy the sun in one of the many beautiful parks the city centre has to offer. Learn French in the heart of Montpellier’s beautiful historic city centre. Practice your French right after the classes in the wonderful surroundings of our EasyFrench French language school. Practicing French outside the classroom is very important for a successful language travel to France. Thanks to the wonderful location of EasyFrench, you can put into practice your French directly after your French course, in real life, everyday environment. Have a coffee on a sunny terrace and talk to the waitress. Order your lunch in French and ask the waiter questions about the dishes. Get advice in shops and learn French. There are countless opportunities to use and improve your French thanks to the excellent location of our EasyFrench immersion school in Montpellier. Spend a wonderful time with your new friends and enjoy the great location of our French school in Montpellier during your France language immersion stay at EasyFrench.